Are you dreaming of a glamour wedding to impress all your guests? Then the City is the perfect wedding location to celebrate your Big day, no matter if you choose to get married in spring, winter or fall. Italian cities can be romantic, vivid, full of history and art or modern and trendy. The main wedding destination cities can be considered Florence, Venice, Rome and Milan, but each of them will give a unique and different atmosphere to the whole event. 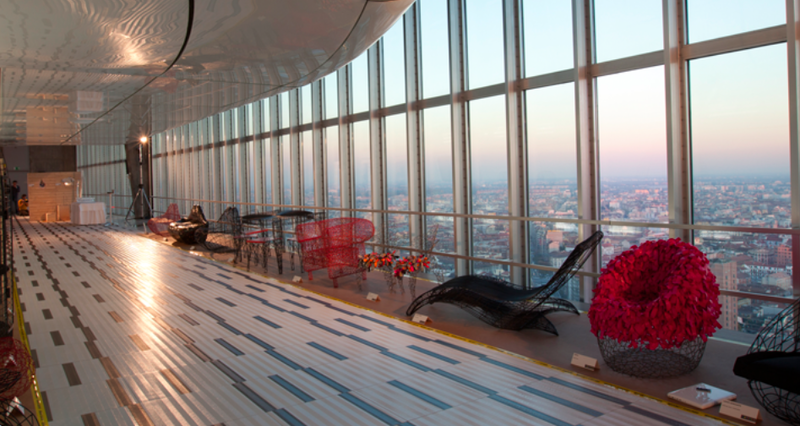 Milan will offer Contemporary Designed locations like Lofts, Terraces or glass walls with a great view on the city rooftops, or even fashionable and refined spots in the high-fashion district. In Venice, you will have the chance to travel on a romantic Gondola, and reach your wedding location in one of the many palaces where you will find high ceilings, great marble stairs and sumptuous furniture and grand arched windows overlooking the Rialto Bridge, that will transport your ‘I DO’ to another dimension, giving it a royal atmosphere. Rome gives you the amazing opportunity to dine on a roof terrace overlooking the rooftops of the Eternal City. Florence is full of Renaissance Palaces with wide halls, beautiful churches and stunning villas with a view. The versatility of all the City wedding locations will give you the possibility to choose between an informal party and a more formal reception. Discover our Wedding Venues in Italy by visiting the Italian Wedding Designer Facebook page or Contact us to receive more information.